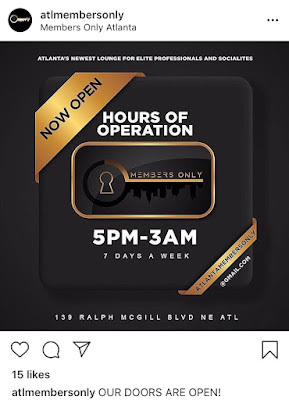 Rapper and budding entrepreneur 2 Chainz, aka Tity Boi, (Tauheed Epps by birth), is putting the finishing touches on his second Atlanta area lounge. This new lounge,"Members Only," will reportedly be just that: exclusively for members of the establishment. Located at 139 Ralph McGill Boulevard, Member's Only is situated between Downtown Atlanta and Old Fourth Ward. 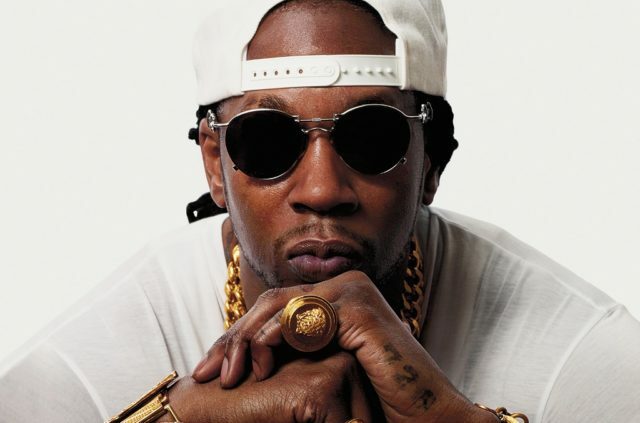 In addition to being a Grammy award winning artist, 2 Chainz is also the host of Viceland’s “Most Expensivest,” and this past fall launched a premium marijuana brand and reintroduced his famous "Pink Trap House" as the "Haunted Pink Trap House" in Newnan. 2 Chainz' first lounge, Escobar Restaurant & Tapas, opened in late 2016 on Peters Street in Castleberry Hill. 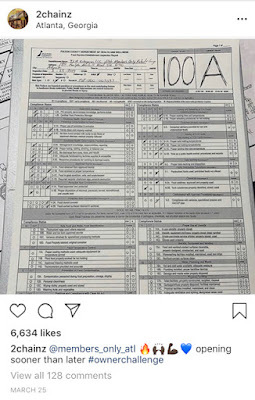 2 Chainz proudly displayed the perfect 100 health inspection score that Members Only recently received from the Fulton County Health Department on his Instagram page. 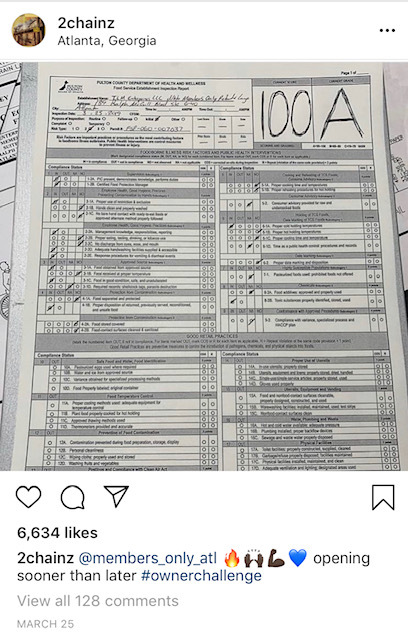 One reason 2 Chainz may be especially proud of his recent perfect health score for Members Only is because Escobar famously scored an embarrassingly bad 59 (Unsatisfactory) shortly after opening. As described on the Members Only website: "Designed with the elite professional in mind, the lounge features two bars, intimate seating, and separate areas for the public and membership holders. All of our patrons enjoy special performances by today’s best entertainers, premium cocktails and a carefully crafted menu featuring many vegan options available only at Member’s Only." Access to the “Members Only” club will reportedly be limited and highly coveted; reservations will be exclusive to individuals with a high socioeconomic status such as artists, celebrities, and CEOs, according to a blog post by KavKapital. 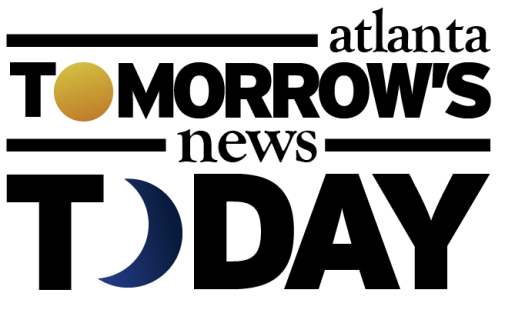 Those with interest in obtaining membership can review this application page.  There, potential applicants are asked to list any businesses that they own, their website, a section for their social media handles, and if their business and or company could mutually benefit from the club and its members. The club was expected to open in January, but last week hosted a private birthday party for 2 Chainz' business partner Snoop ahead of what the lounge is now promoting as a Grand Opening on Wednesday April 17. 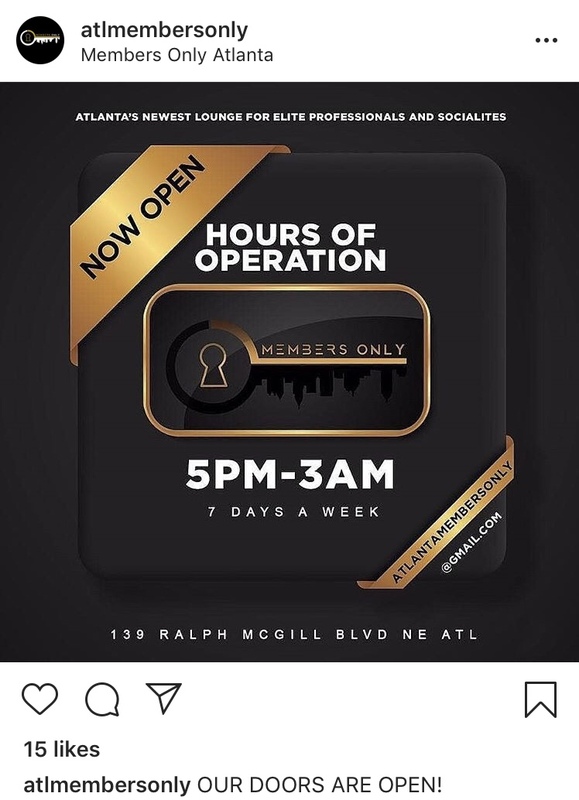 The lounge's Instagram profile, which was recently changed from @Members_Only_ATL to @atlmembersonly, indicates its hours are 5 pm until 3 AM, seven days a week. Have you already been to Members Only for one of their preview parties? Are you excited at the prospect of such an exclusive venue? Do you think 2 Chainz will enjoy continued success in lounge ownership or will he suffer the same fate as other entertainers turned lounge operators before him? I'm betting there will be a shooting there in the first 2 months. I smell pot ...Doritos anyone? I have an authentic, vintage Members Only jacket. I wonder if wearing that will allow me access. What's the over/under on this "establishment's" first shooting? Why would there be a shooting there??? I bet juicy Smollett is going to be there and his Crazy Sisters. You commentators are so racist. Sorry to break it to you but black people DO live in Atlanta, open successful businesses, and no, shootings do not occur. I'm sure you stay on your white part of town and avoid any areas that people of color frequent. Sad. April 18, 2019 at 9:14 AM whined .... You commentators are so racist. Sorry to break it to you but black people DO live in Atlanta, open successful businesses, and no, shootings do not occur. I'm sure you stay on your white part of town and avoid any areas that people of color frequent. Sad.